Which is good because I need lots of practice! I trained Tuesday at work after having run 6 miles that morning. My feet were bugging me and there was a possible meeting earlier than normal so I turned around at 3 miles. I really hope I'm NOT developing a bunion on my left foot. Wednesday morning I went to work early to meet Micah to train, and we trained with Gi's, which is nice to do when possible as it is quite a different type of workout, and methodology that can help the no-gi grappling. Anyway I was invited to go to Fusion again around lunchtime to train so I did that. More Gi time! The more I spend training in the gi the more I'll get used to it. At Fusion we started with a few bouts of 3-5 minutes straight (3 for the first couple, 5 minutes for later when there were 4 of us rolling). You can see me rolling with Tony (black belt) here and here, and you can see me rolling with Micah (brown belt and my main teacher) here and here. 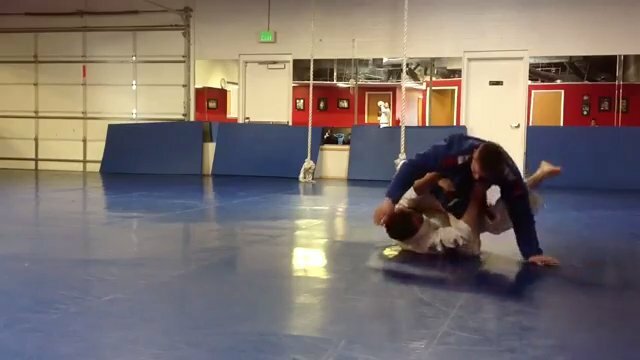 If you watch this video you can see all the different ways I was submitted or choked (usually via Triangle or Armbar). Tony is good, and as soon as his legs are in triangle I can't move them! The 4th guy Gavin is a blue belt (almost purple) who is the closest to my size that I've wrestled, and he's good for a blue belt, so I have trouble with him because I'm not used to it! Watching those videos makes me realize I should probably get some new gi pants sooner than later... those are HUGE on me! I think it is great that we are showing off our facilities this way, but I do think it is a bit silly as well.